1 The name of the Company (hereinafter called the Society) is “CUMANN LUCHT CAPAILLINI CHONAMARA,” (“the Connemara Pony Breeders’ Society”). 2 The registered office of the Society will be situated in Clifden Connemara Ireland. To advance the education and promote agriculture in Ireland by encouraging the breeding of Connemara ponies and their development and maintenance as a distinctive breed and to develop their performance ability. (a) To inspect ponies offered for registration, in compliance with the Company’s “Rules for Registration”, and to maintain a stud book containing particulars of eligible ponies. (b) To purchase/acquire fillies, colts and stallions of the Connemara Pony Breed in furtherance of pony breeding interests only. (c) For the purposes of research and education only to provide registered Connemara Pony stallions and locate them at suitable centres for breeding on such terms as the Council may decide. (d) To advise the Minister for Agriculture Food and the Marine (or his successors) on matters concerning equine breeding. (e) To hold a show at some suitable centre in the Connemara area each year, the principal section of which to consist of classes for Connemara ponies, and such other sections as deemed appropriate. 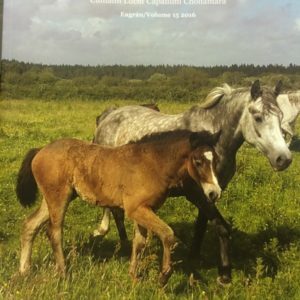 (f) To offer prizes in classes for Connemara ponies at selected shows. (g) To promote and encourage the breeding of the Connemara Pony, to maintain the distinctive characteristics of the Pony. (h) To act as the National Governing Body to which other bodies can refer for guidance in all aspects related to the Connemara Pony. 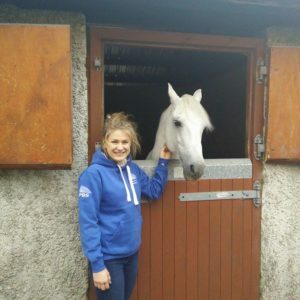 (i) To promote and conduct training sessions, discussion groups, lectures, demonstrations and veterinary classes for breeders of the Connemara Pony Breed and of the public interested in the breeding and management of Connemara ponies. 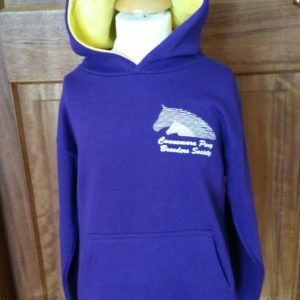 (j) To promote good fellowship and sportsmanship amongst breeders and owners of Connemara ponies. (k) To organise and operate a panel of Judges and Inspectors and to conduct a Junior Judges Learner Scheme with a view to training judges and of recommending approved judges to organisers of shows and to hold Judges Conferences to promote uniformity of judging. 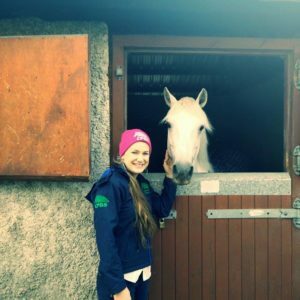 (l) To organise or support competitions, trials, events, tests, shows or exhibitions of Connemara ponies and to collect, verify and publish information relating to shows, sales and other activities connected with Connemara ponies. (m) To arrange exhibitions and sales of Connemara ponies with a view to promoting home and Foreign Trade. (n) Subject to licence under Companies Act 2014 to hold land for the raising and keeping of ponies and to manage and use such land in a proper manner. (o) To comply with EU and National equine legislation, as and when advised by the Minister (or his successors) to so comply and implement such legislation. (a) To purchase, or otherwise acquire, any real or personal property that may be legally held and that the society may consider necessary or convenient for the purpose of its undertakings. (b) To deal with the monies of the Society; to sell or otherwise dispose of the property of the Society; to accept grants and/or subsidies. (c) To seek the co-operation of the Department of Agriculture, Food and the Marine/other Government Departments and other favourably disposed bodies, with a view to promoting the aims of the Society. (d) To borrow or raise money for the purpose of the Society on such terms and on such security as may be deemed proper and desirable. provided that the Society shall not support with its funds any object, or endeavour to impose on or procure to be observed by its members or others, any regulation, restriction or condition which, if an object of the Society, would make it a Trade Union. Provided also that in case the Society shall take or hold any property subject to the jurisdiction of the Commissioners of Charitable Donations and Bequests for Ireland, the Society shall not sell, mortgage, charge or lease the same without such authority, approval or consent as may be required by law, and as regards any such property, the Society shall be chargeable for such property, as may come into their hands, and shall be answerable and accountable for their own acts, receipts, neglects and defaults, and for the due administration of such property, in the same manner and to the same extent as such Society would have been if no Incorporation had been effected, the Incorporation of the Society shall not diminish or impair any control or authority exercisable by the High Court of Justice or the Commissioners of Charitable Donations and Bequests for Ireland over such Society, but shall, as regards any such property, be subject jointly and separately to such control or authority as if the Society were not incorporated. In case the Society shall take or hold any property that may be subject to any trusts, the Society shall only deal with the same in such manner as allowed by law, having regard to such trusts. No addition, alteration or amendment shall be made to or in the provisions of this Memorandum and Articles of Association for the time being in force unless the same shall have been previously approved in writing by the Revenue Commissioners. 8 The fourth and fifth paragraphs of this Memorandum contain conditions on which a licence is granted by the Minister for Enterprise, Trade and Employment to the Society in pursuance of the Companies Act 2014. 9 The Liability of the members is Limited. 10 Every member of the company undertakes to contribute to the assets of the company, if the company is wound up while he or she is a member or is wound up within one year after the date on which he or she ceases to be a member, for— (a) the payment of the debts and liabilities of the company contracted before he or she ceases to be a member, and the costs, charges and expenses of winding up; and (b) the adjustment of the rights of contributories among themselves, such amount as may be required, not exceeding €1. If, upon the winding up or dissolution of the Society there remains after the satisfaction of all its debts and liabilities, any property whatsoever, the same shall not be paid to or distributed among the members of the Society, but shall be given or transferred to some other charitable Institution or Institutions having main objects similar to the main objects of the Society, and which shall prohibit the distribution of its income or profits and property among its or their members to an extent at least as great as is imposed on the Society under or by virtue of Clause 6 hereof, such institution or institutions to be determined by the members of the Society at or before the time of dissolution, and if and so far as effect cannot be given to such provisions, then to some charitable object. company, in pursuance of the Memorandum of Association. Sean O’Cathain, Caislean Nua, Gaillimh. Sean O. Cillin, cigire Maoirseachta, Gaillimh.